If you are visiting or planning on visiting Charleston SC and have a plug-in vehicle, I discovered a garage that has two charging stations. This garage is located at 375 Meeting House RD in downtown Charleston, it is across the street from the Visitor’s Center. I’m not positive, but, it looks to be free, the sign states “Plug In Carolina Is Proud To Purchase Green Energy For This Charging Station”, and I didn’t notice any place to pay. This garage is convenient if you are wanting to find a place for lunch or go for a walk down King Street shopping or going out to enjoy some nightlife. This garage also has an inexpensive flat rate if you park after 5pm and leave before 8am ($4 as of this writing). 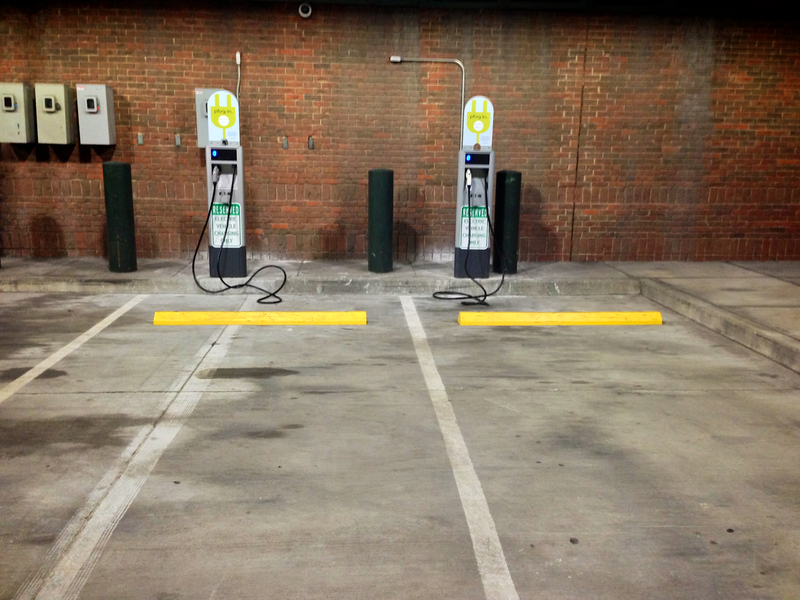 You can charge your plug-in vehicle while you enjoy the downtown area. After checking things out, it seems there are a couple other places for charging in the downtown area as well. I checked out the website for Plug In Carolina, and they have installed almost 100 charging stations across the state of South Carolina. 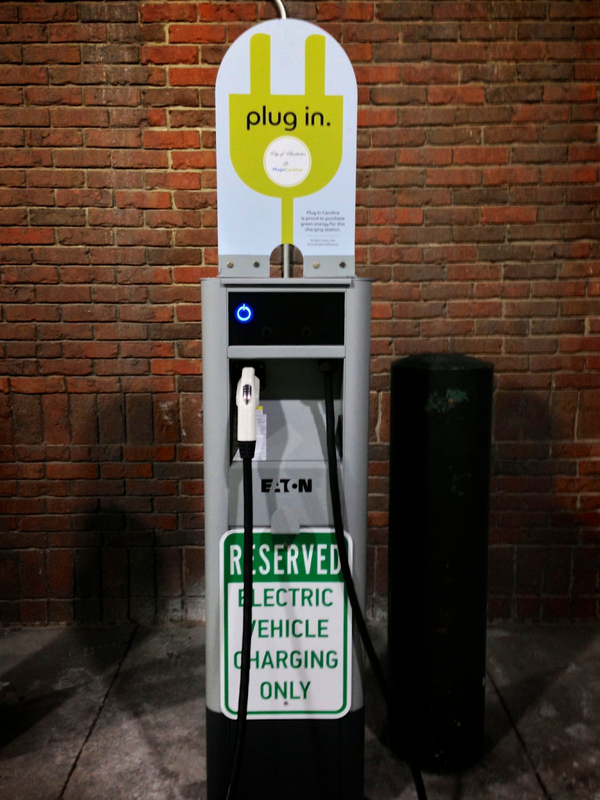 So if you have a plug-in vehicle and are planning to visit SC or live in SC and are considering a plug-in vehicle, but not sure where you can charge it, check out Plug In Carolina’s website: http://www.plugincarolina.org/ .